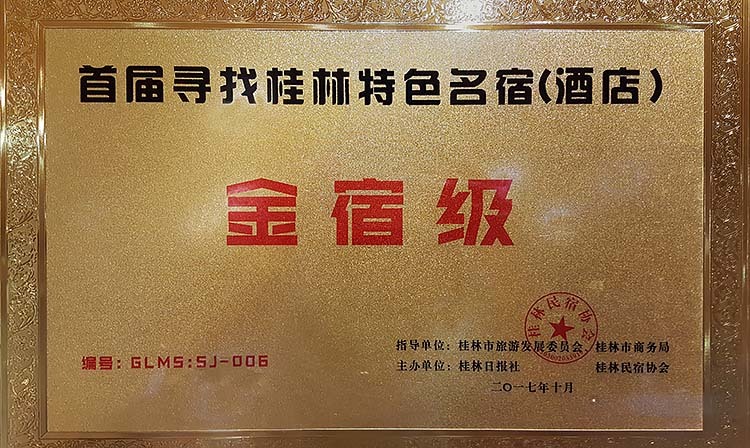 Li-An Lodge was rewarded “Golden Lodging”, highest honor, by the first “Finding Guilin’s Boutique Lodges”. 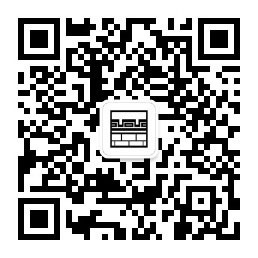 “CNN GO” listed Li-An Lodge as one of “9 China hotels with ridiculously good views”. 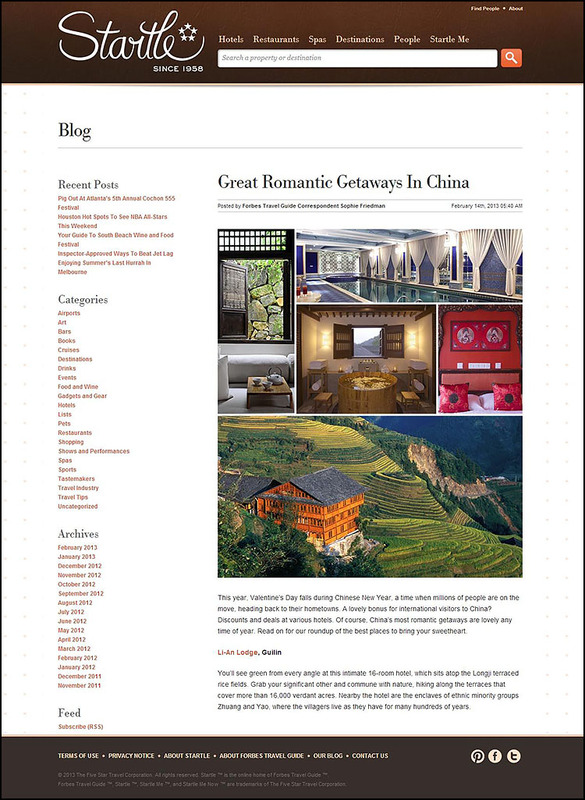 Forbes Travel Guide Online, “Startle”, included Li-An Lodge as one of the “Great Romantic Getaways in China”. 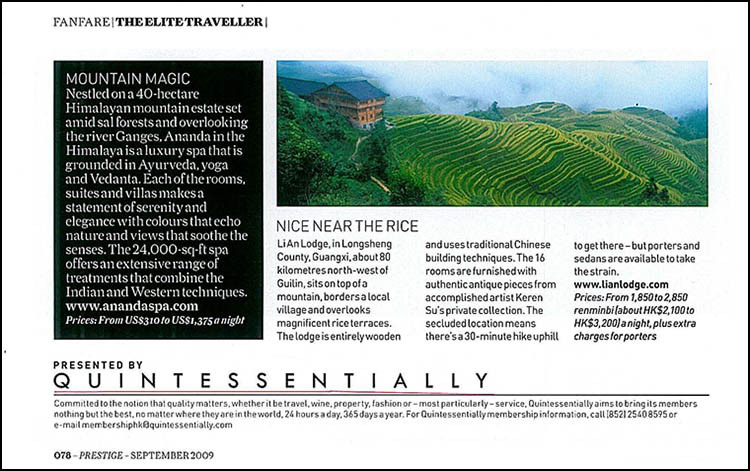 Hong Kong’s “Prestige” magazine featured Li-An Lodge in its “Fanfare/The Elite Traveller” section. 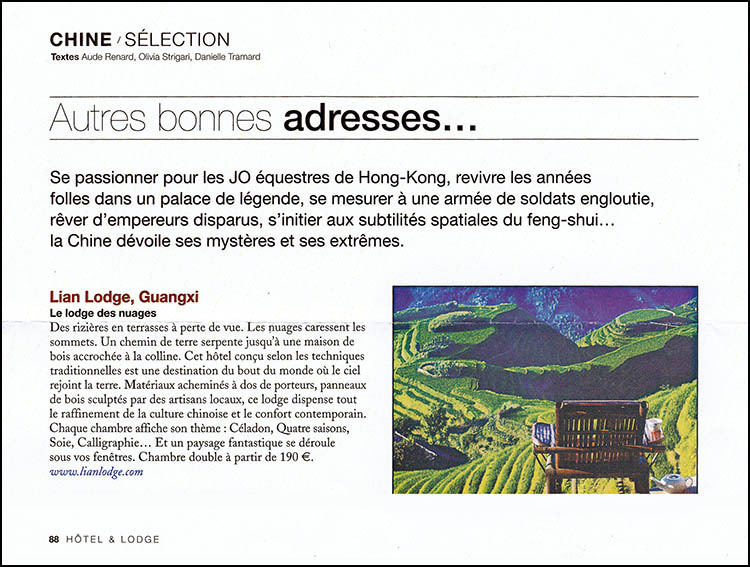 “Hotel & Lodge”, a French magazine, featured Li-An Lodge. 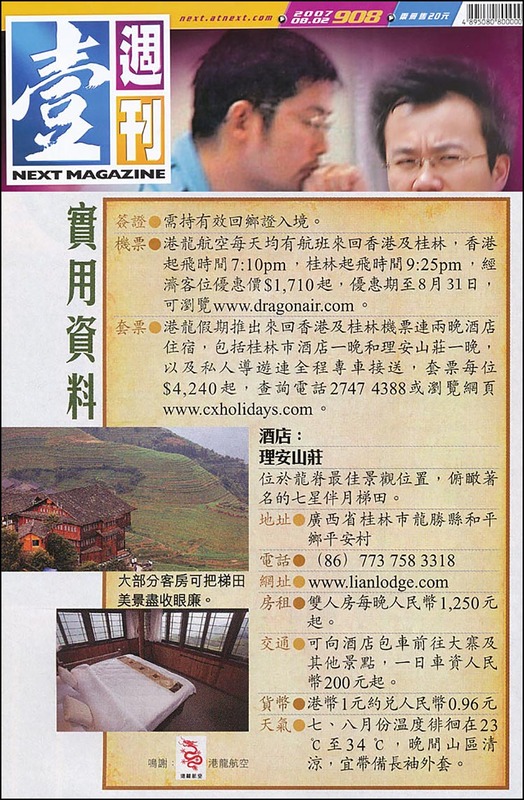 “Next magazine”, Hong Kong,featured Li-An Lodge. 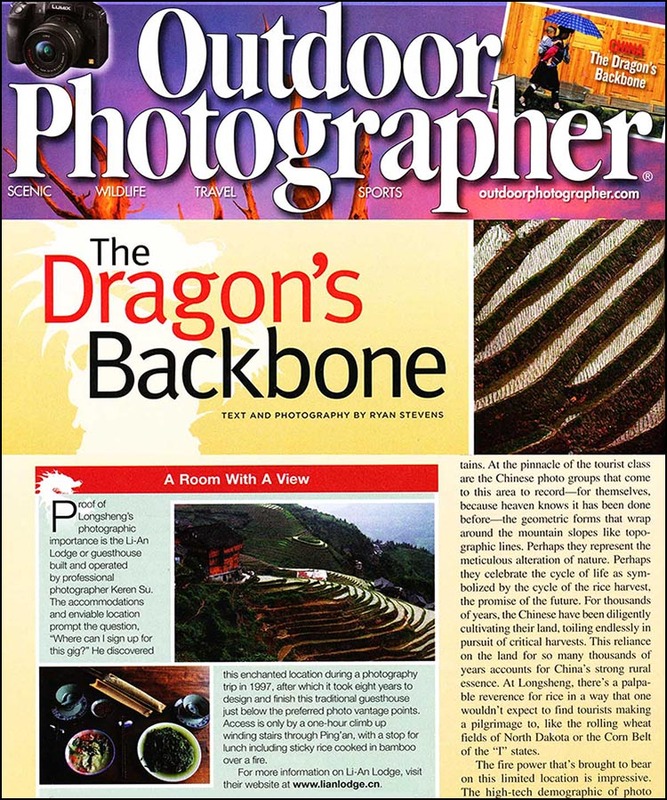 “Outdoor Photographer” featured Li-An Lodge and Longsheng Terraces.